You like Steve Harvey style suits but just can't deal with those Steve Harvey prices. You're in luck because EJ Samuel makes the high fashion suits for you. These high fashion suits feature the same attention to style that you see on a Steve Harvey suit. 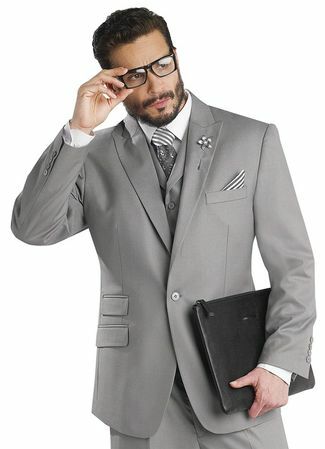 This rich looking gray 3 piece suit features side vents with matching vest with lapels and the pants are single pleated. Fabric is super poly/rayon.